MAYBE CHRISTMAS, HE THOUGHT, DOESNT COME FROM A STORE. - ProudMummy.com the Web's Community for Mums. Home » Memes » Travel & Holidays » MAYBE CHRISTMAS, HE THOUGHT, DOESNT COME FROM A STORE. MAYBE CHRISTMAS, HE THOUGHT, DOESNT COME FROM A STORE. "MAYBE CHRISTMAS," HE THOUGHT, "DOESN'T COME FROM A STORE. 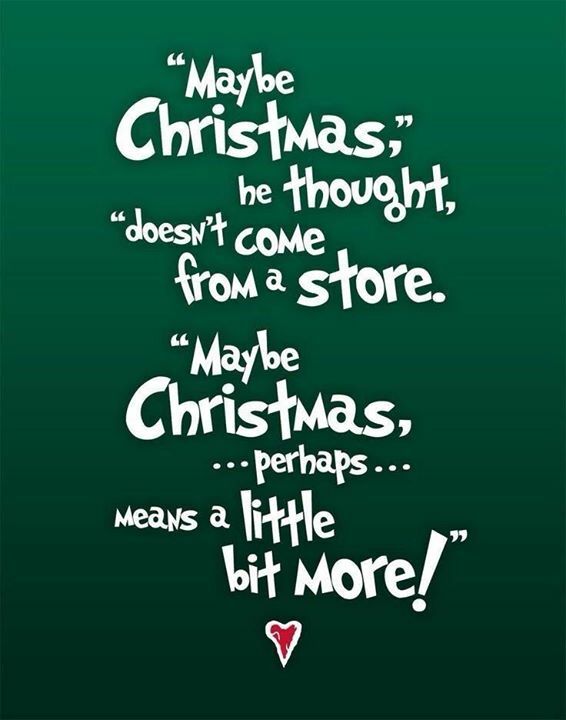 "MAYBE CHRISTMAS, ...PERHAPS... MEANS A LITTLE BIT MORE!"